Applications may be submitted anytime beforehand, but will be considered in a concerted selection process after the posted deadline. Results can be expected early in the New Year 2011. The application deadline for uptake in the Winter Semester 2011/12 (October) is 29 April 2011. What is the aim of the Graduate School? 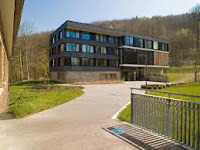 The Saarbrücken Graduate School of Computer Science provides an optimal environment for pursuing doctoral studies in computer science at an internationally competitive level. As a student, you undergo research oriented training and experience a stimulating and scientifically challenging atmosphere. Advised by internationally renowned scientists, you can participate in one of the many research groups and find your way into top notch research. Talented students with strong interest in research who hold a Masters or an excellent Bachelor’s degree in Computer Science or in a related field. What is the working language? All courses, exams, etc. are in English. After your successful application, you first undergo (depending on your degree) a three semester preparatory phase which consists of research oriented, broad course work adjusted to personal interests. We provide common office space particularly to students in this phase. You have ample opportunity to acquaint yourself with the many computer science research groups in Saarbrücken and to choose a group and an advisor matching your interest. After passing a qualifying exam, you enter the research and dissertation phase which you spend as a member of a research group. During the entire program there is a comprehensive offering of so-called Soft Skills seminars and courses. In justified cases, you can be exempted from parts of or even the entire preparatory phase. Also, your courses taken in the preparatory phase can be used towards a Master’s degree, if this is desired. Can I obtain financial support? We provide financial support during both phases (of course assuming adequate progress). During the preparatory phase starting after your BSc degree, this support comes in the form of scholarships (800 € per month) or teaching and research support contracts. During the research and dissertation phase, you are supported in the form of stipends (about 1400 € per month) or of research or teaching assistantships. There are currently no tuition fees, only a student fee of 140 € per semester which gives you free access to public transportation and reduced student rates at the university cafeteria and for many other public services (museums, concerts). Which are the participating research institutes? All these institutes are housed right next to each other on the Saarland University campus in Saarbrücken, an unparalleled concentration of computer science research expertise in Europe. To be considered for the next round of admissions, your complete application materials must reach us by 28 October 2010. Deadline closed! Next deadline: 29 April 2011 for uptake in the Winter Semester 2011/12 (October). Please use the online application system: OAS, and follow the instructions there. We cannot guarantee evaluation of applications not submitted via the OAS. Demikianlah informasi Phd Scholarship in the Saarbrucken Graduate School of Computer Science kami sampaikan, semoga bermanfaat.